During his life, Gary Coleman was mistreated by the media. Most child stars have a very rough time transitioning into adult life. This was much harder for Gary Coleman. Even into his adult years, he was smaller than most children. Because he acted so tough, the media made fun of him. Coleman carried himself with attitude. Todd Bridges grew up with Gary Coleman on the set of their hit sitcom, "Diff'rent Strokes." They played on the show as brothers and a brotherhood was created. Every time the media jumped on his television brother, Todd Bridges was there for him. When Bridges got in a little trouble with drugs, Coleman stuck up for him. Last month, Gary Coleman made their relationship a little crazier when he died. Even in death, the media will not allow him to rest. 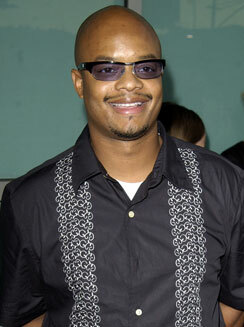 To the rescue has been Todd Bridges. He has stepped up and revealed he has the secret will of Gary Coleman. Bridges said they will soon reveal the secret will to the public. Still, as the stories have piled on about the actions of Gary Coleman, Todd Bridges has been right there to set the record straight for everybody.